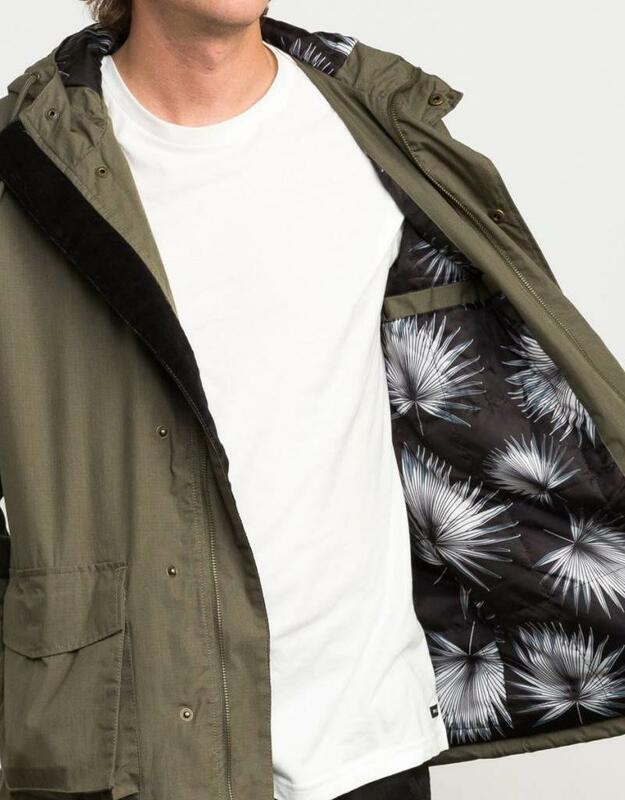 Utilitarian on the outside, the RVCA Puffer Parka Jacket delivers a summer on the inside feel with a palm print lining and just the right amount of insulation. 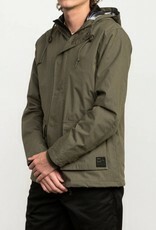 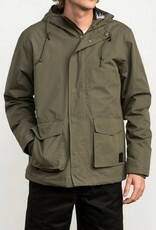 A durable and clean exterior features a mini ripstop fabric, topped with 600mm coating and a DWR water-resistant finish. 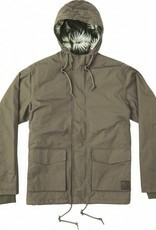 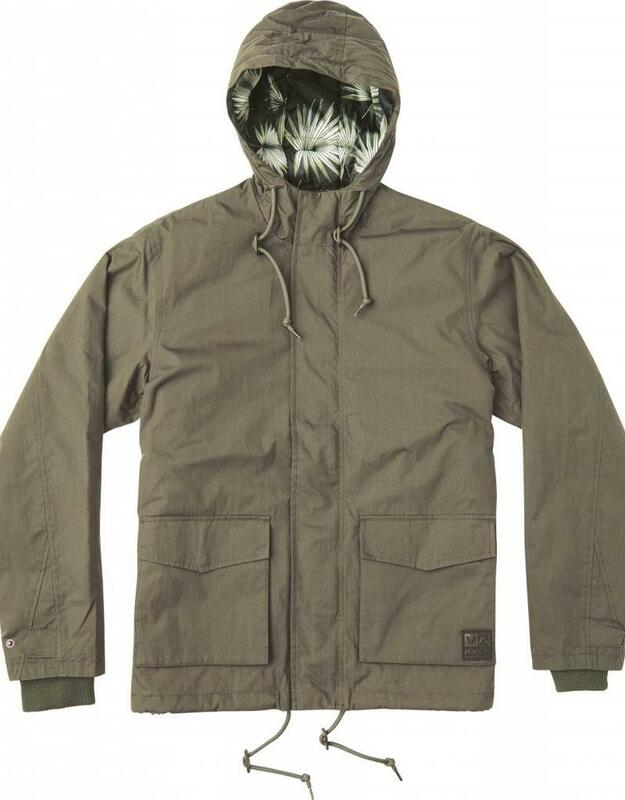 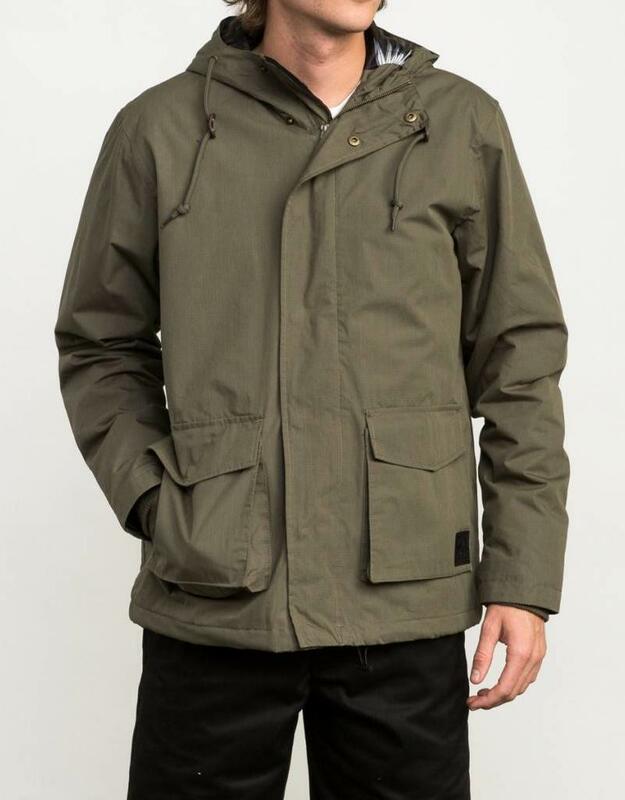 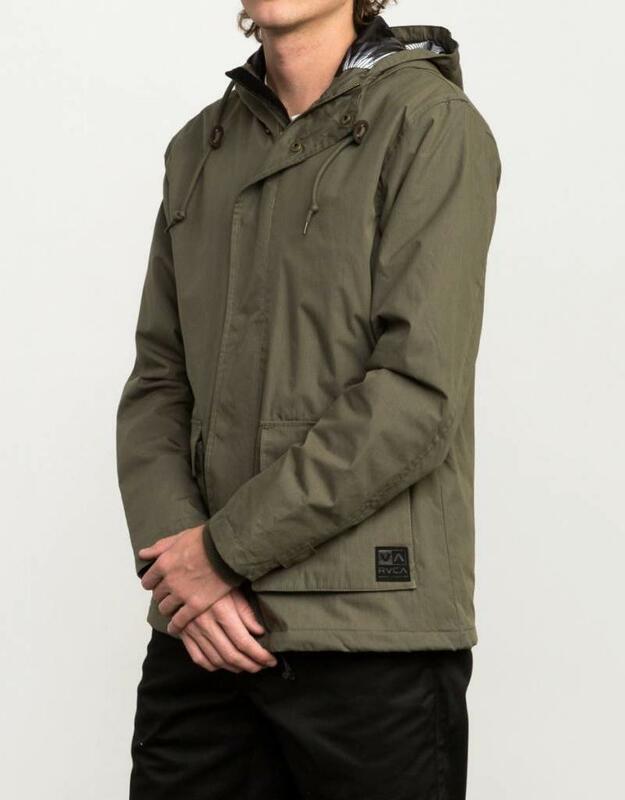 Quilted and filled with 60g polyester insulation, the mens parka jacket is lined with a palm leaf print and trimmed with large dual entry pockets at the front, rib knit at the cuffs and drawcords at the hood and hem.